Celebrate the great out of doors with these one of a kind pieces. The hickory sticks and logs are kiln dried and then steam bent for a very unique finished piece of furniture–no two pieces are just the same. 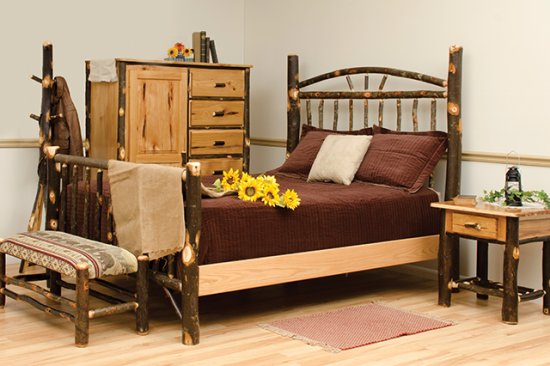 Amish made in Pennsylvania from solid wood with your choice of finishes. Beds are available in twin, full, queen, and king sizes.